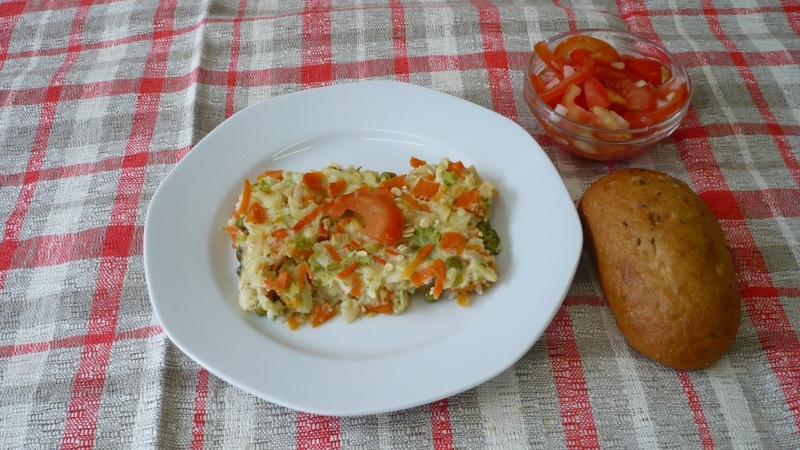 Contents: Pasta baked with vegetables and eggs, salad with tomatoes and chopped onions, and bread. Notes: That pasta looks like it would be really good. Interesting.